Home | Articles From Issue 25 | Go Floor It! Flooring choices for the home are about as plentiful as countertop options; there’s a surface to suit everyone! 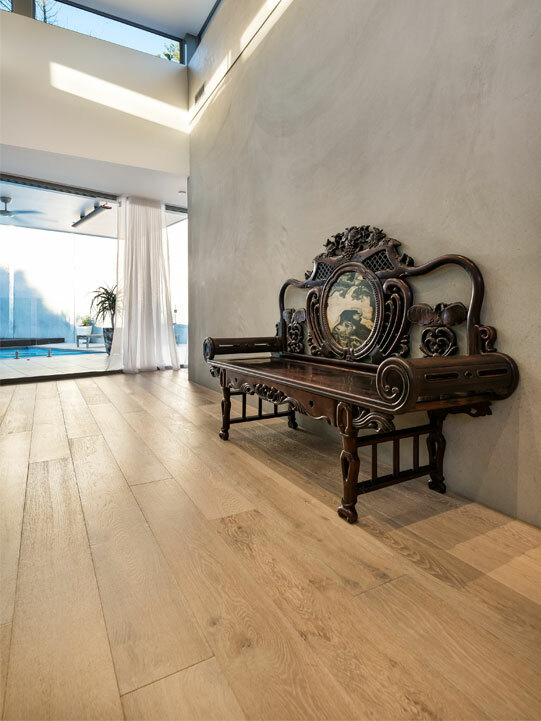 From solid hardwood to polished concrete, Cloé Timperley breaks down the pros and cons of some of the most popular flooring materials for modern interiors. provides a more affordable alternative to traditional timber varieties. Furthermore, as bamboo is one of the most widely available and fastest-growing plants in the world, it’s a sustainable and environmentally friendly choice. Typically the largest surface in any given room, the floor plays a major role in the overall look, feel and ambience of an interior. Picking out new flooring is not only a big investment; it’s a long-term decision that requires significant consideration. From moisture resistance and cost, through to comfort and durability, choosing the right flooring material is a little more complex than simply selecting the best-looking product. 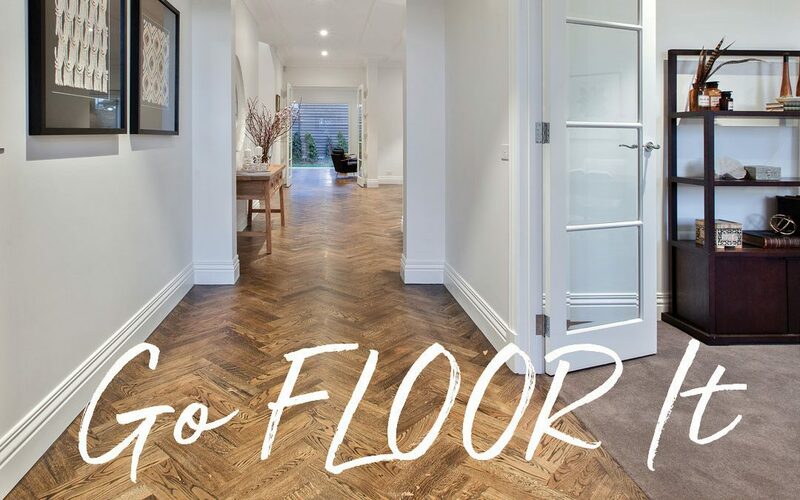 To help you find the perfect floor for your next project, Melbourne Home Design + Living explores the benefits and potential shortcomings of some of the most popular materials on the market, and identifies the areas of the home to which they’re best suited. solid hardwood looks as natural and charming in a country cottage as it does in a contemporary setting. Solid-hardwood floors are generally made with tough timbers such as oak, walnut, spotted gum, jarrah or blackbutt, as softwoods like pine or spruce tend to dent easily. Durable, renewable and recyclable, solid hardwood can be applied in almost any area of the home, and can be sanded when necessary to remove scratches and scuffs. It’s important to keep in mind that timber expands and contracts more than other materials, so it cannot be used in conjunction with an underfloor-heating system or applied in damp areas. First manufactured in the early 1920s, laminate has come a long way from its humble origins as an inexpensive alternative to natural materials. Today, top-quality laminate is one of the most resilient and durable floor surfaces available, and comes in a wide range of convincing textured finishes. Made by printing a high-resolution image onto a layer of woodchip composite, laminate faithfully mimics the appearance of natural materials such as timber, slate and ceramic. Ideal for hallways, entryways, and living and dining rooms, laminate features a hard, transparent topcoat known as the wear layer, which resists scratches and dents. It’s important to note that even the very best laminate flooring is susceptible to moisture damage and shouldn’t be installed in water-heavy environments such as kitchens or bathrooms. DIY-savvy homeowners. The edges and ends of laminate planks are designed to snap together, which means there’s no nailing or mixing of grout or mortar required. Readily available at most hardware stores, laminate planks can be installed quickly and with few complications. Incredibly popular among minimalist-minded homeowners, concrete flooring has successfully moved beyond the garage and into the home. While concrete flooring might sound clinical and devoid of personality, this industrial-inspired trend can lend a sophisticated, high-gloss vibe to your space, and is easily softened with the right furnishings. Modern advances in concrete mixing and setting have allowed designers to achieve an endless variety of colour and texture options. 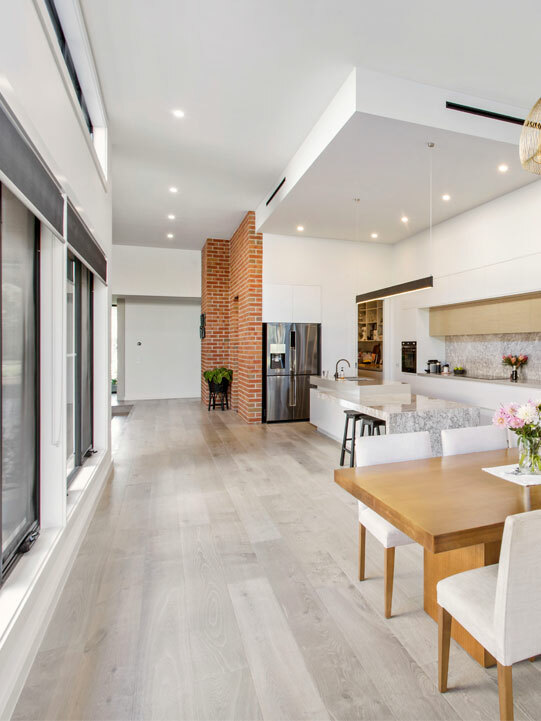 Concrete flooring has evolved far past the bumpy utilitarian surface of yesteryear, and is now available in polished, painted, stained, scored or burnished varieties, which means there’s a style to suit every interior. forms of flooring, which means high heels, furniture legs and pet claws will not scratch the surface. However, while concrete can withstand just about anything, be aware there’s not much that can survive a drop onto this unforgiving material. It’s also worth bearing in mind that concrete flooring is not as comfortable underfoot as carpet, wood or tile, and the surface can become quite chilly during the colder months. 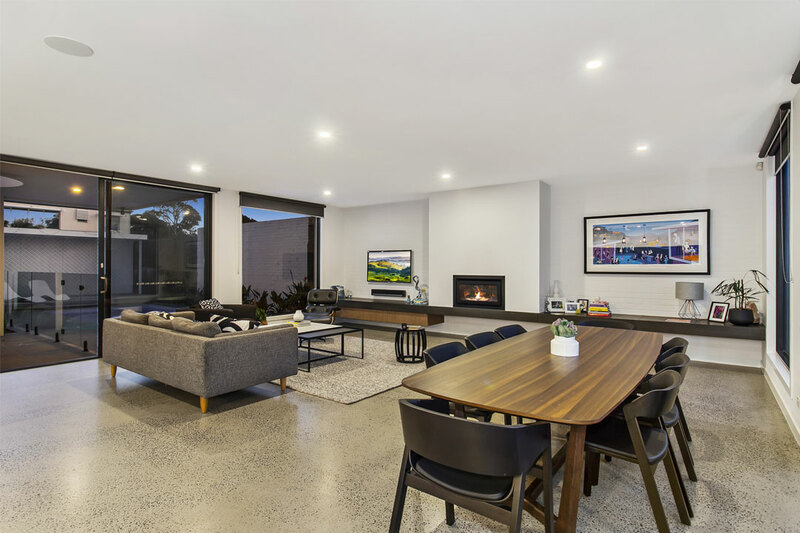 Area rugs can help to increase comfort and warmth, while a radiant-heating system that utilises electrical cables or hot-water tubes can be embedded in the concrete during construction to ensure your feet are kept cosy throughout winter. Stone flooring is luxurious and inimitable, with each unique slab featuring its own distinct natural variations. Whether you opt for a detailed mosaic design or irregular, rough-hewn pieces that accentuate natural-style settings, stone offers a sense of permanence and character that surpasses many other flooring materials. stain resistance, so it’s wise to think carefully about the type of stone you want, and in which area of the home it’s going to be applied. If you plan to install stone flooring in high-traffic areas such as the kitchen, foyer, mudroom or bathroom, you’ll want to choose a hard, nonporous material like granite or slate, as more permeable stones require regular sealing and frequent cleaning to prevent staining and pitting. Staying cool to the touch even when the outdoor temperature climbs, stone flooring is the perfect choice for homes in warmer climates. At the same time, stone is an excellent thermal conductor and retains heat well, which makes it one of the best materials to use in conjunction with a radiant-heating system. Furthermore, natural stone’s organic surface resists dust and allergenic organisms, making it a safe choice if you or a family member suffer from allergies or asthma. Whether you prefer the visual warmth and patina of solid hardwood, the elegance of stone or the modernity of polished concrete, choose a material based on your personal preference and the interior-design scheme of your home. Be sure to properly weigh the pros and cons of each material, and seek out expert advice if you’re unsure. Your toes will thank you!